Your order will ship MONDAY if placed in the next 20 hours 47 minutes . Enter your shipping address zip code to receive an instant delivery date estimate from UPS. Federal HST Law Enforcement 9mm Luger Ammo 147 Grain Jacketed Hollow Point ammo for sale online at cheap discount prices with free shipping available on bulk 9mm Luger ammunition only at our online store TargetSportsUSA.com. Target Sports USA carries the entire line of Federal ammunition for sale online with free shipping on bulk ammo including this Federal HST Law Enforcement 9mm Luger Ammo 147 Grain Jacketed Hollow Point. Federal HST Law Enforcement 9mm Luger Ammo 147 Grain Jacketed Hollow Point ammo review offers the following information; This 9mm ammo load features nickel plated brass casings and non-corrosive primers. If you are looking for the best personal protection 9mm ammo on the market offered by the world known ammunition company Federal Premium, this HST 9mm ammo load is it. Federal 9mm HST ammo is a limited supply item, and normally only available to law enforcement, however we were able to make a special purchase on a small lot available that we can sell to all of our customers. 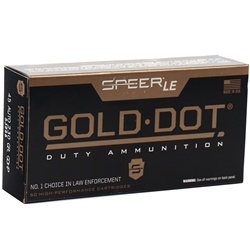 This is one of the finest types of high quality hollow point 9 caliber ammunition available at a low price per round because of the discounted 50 round packaging, a much better deal than the 20 round boxes made for consumer sales. The next generation in high performance duty ammunition HST offers consistent expansion and optimum penetration for terminal performance. A specially designed hollow-point tip won't plug while passing through a variety of barriers and this bullet holds its jacket in the toughest conditions HST is engineered to provide 100% weight retention through most barriers and impressive expansion. 9mm Luger ammo by Federal is a new production, non-corrosive, reloadable, features nickel plated brass cases and Boxer primers. This is top of the line, American-made defense ammo made by ATK. 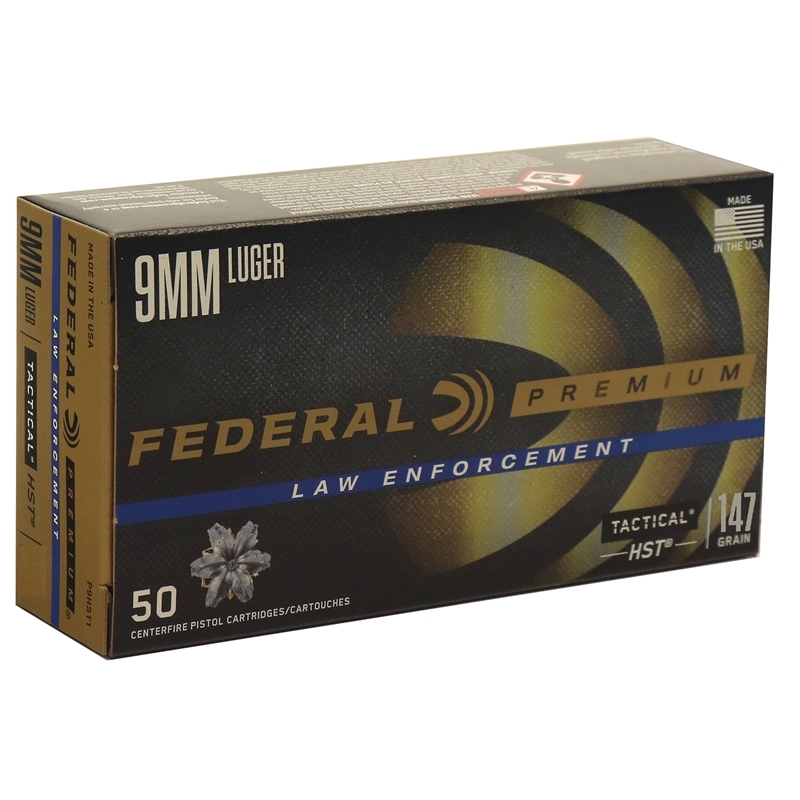 Federal Law Enforcement ammo by Federal is packaged in boxes of 50 rounds and cases of 1000. Order a case of Federal LE 9mm HST bulk ammo, receive free shipping. Federal's specially designed hollow-point tip won't plug while passing through a variety of barriers. HST 9mm ammo is engineered to provide 100% weight retention. Great defensive Federal HST Law Enforcement ammo at a great price. I use this for duty. It’s great Federal HST Law Enforcement ammo at a great price. Excellent product and price for all ammunition at Target Sports USA. Response:Hi Brian, As of right now we do not see any price increases, therefore the price on the Federal HST Law Enforcement 9mm Luger Ammo 147 Grain JHP ammunition should stay the same. Thank you for buying ammo at TargetSportsUSA.com.